So, let’s be honest here - books are a business - because the goal of the author is to sell their books and make a profit in return. All while sharing their words and stories with readers. With the advent of self-publishing and the movement of indie authors using social media to get the word out about their work, both readers and authors have come together to create a larger community that is more prevalent than before. Bloggers, instagrammers, social media experts and promotions/public relations firms specialize in sharing and marketing books via social media and the web. This allows readers, reviewers, bloggers and a whole new community to support authors and their products. However, self-publishing has created a new issue: a movement of cheap and free products. A sales culture. This sales culture isn’t new in other industries – all industries fight to make a profit when selling their products to their customers. Creatives and artists have fought the battle of how to value their products for years. But in the world of books it's fairly new(ish). This comes from a variety of issues, including but not limited to: new price points that aren’t set by publishing houses; authors undervaluing their work; readers accustomed to those cheap or free books (the sales culture); the advent of KU (which is another topic); and authors who have trained readers to only purchase a book that is priced at 99¢. Prior to joining the indie world in 2012, I didn't know there were books that were 99¢ or free. Free books were found at the library - a place that I frequented when I felt poor and needed to escape to another world - where adventure awaited. I saved my money and bought books when they were on sale or at a discount bookshop. so I could get more for my money. Never did I dream of asking an author for a free book. I would never send them a message to inform them that their book was too expensive or tell them I was too poor and ask for a free copy. Never. Authors are people trying to make a living - just like you and me. Would you go to work if your boss didn't pay you? Of course not! Why should an author not get paid for his/her work? I have spent years in the author community in various roles. 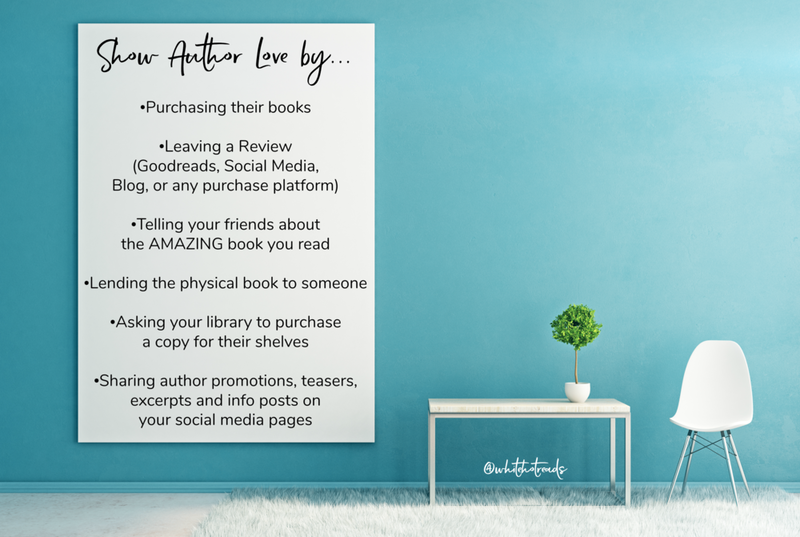 From reader and reviewer, to blogger, to assistant and consultant and the one thing that all those roles have in common is my love of books and the worlds the authors create. I hate to imagine a day when one of my favorite authors decides to step away from publishing because he/she can't make a living from it anymore. Even though they've poured their hearts, souls and finances into making a career out of providing stories for us to read, they just can't make it work anymore. Are you okay with your favorite author walking away from publishing? I’m not excited about it, just as I know you aren’t. Be a customer of the authors business and help them to succeed. Before you berate them for (insert reason here) remember why you started reading and your love of books and the written word. Remember they are humans with feelings and have lives and families also. Remember they are trying to run a business. Whether you agree with me or not, I hope you'll take a moment to think about how you and your friends treat others in this amazing community. Remember, no matter what you think - books are business and should be treated as such!